Your message is important. Communicate it clearly. ZionWorx is at your service. A simple left-to-right functional flow and thoughtful use of graphics defines a new level of accessibility. So easy-to-use children can be involved. With ZionWorx, any video, audio or image file can be used without dependency on anything else being installed on the computer. 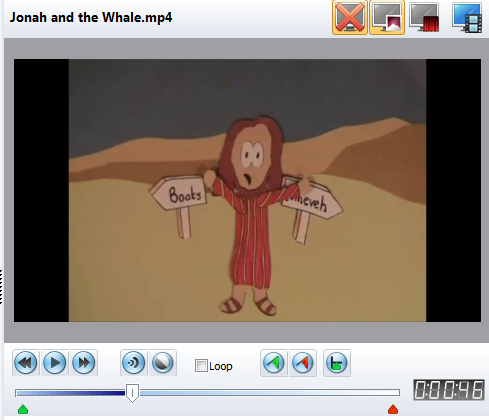 All the required audio/video codecs are fully integrated within the software itself. So if someone turns up with a video from their mobile phone or tablet… no problem! Multiple layers of individually controllable content give you control of your presentation. 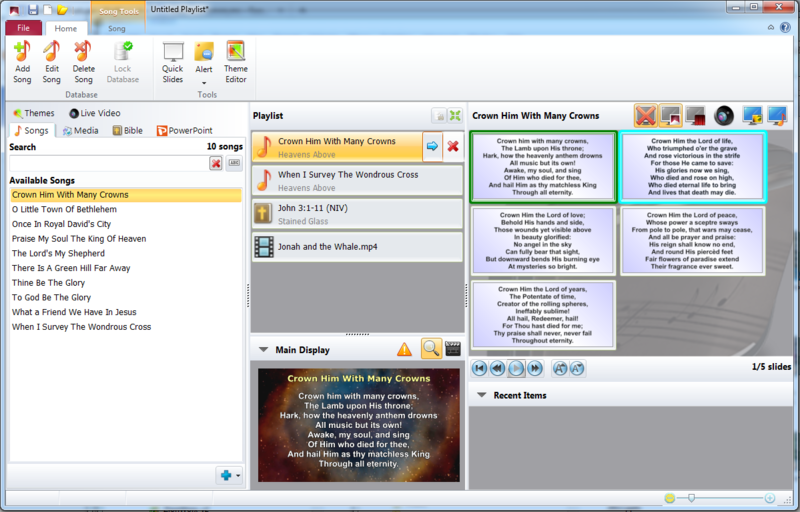 Customise the text properties for each song section and display with full anti-aliased graphics. Easily identify song sections using colour. 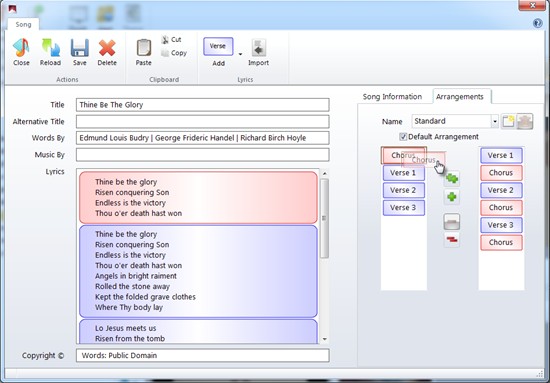 Simple drag and drop interface to create named song arrangements. Easily add a new arrangement for a song prepared beforehand or even on the day. A wrapper around the BibleGateway website allows easy use of the available bibles through this service. This requires an internet connection to select the bible passage and add to the playlist. Easily transport full playlists including required media from one computer to another without worrying whether you 'have everything'. Prepare at home and take to church. Supports PowerPoint versions from 2007 through to 2016. Display PowerPoint shows smoothly integrated with the other visual items for disruption free presentation. Easily fade from a PowerPoint slide to a video and back to PowerPoint. Whatever resolution you present with ZionWorx adapts the size of the text to be proportional to the height of the display. Ideal for multi-site situations where you prepare on one computer and have to display in a different location with a different resolution. Present any live video source accessible to the computer through ZionWorx as a background to text or as a VJ setup switching between multiple video sources at presentation time. Simple import process to load songs from other presentation software and CCLI formatted files and even has a good attempt at importing the contents of plain text files. Get up and running quickly with ZionWorx. No more stress preparing your annual CCLI report! Use ZionWorx to export details of all the songs used between 2 dates you specify. Display messages to the congregation with configurable popup alert messages. 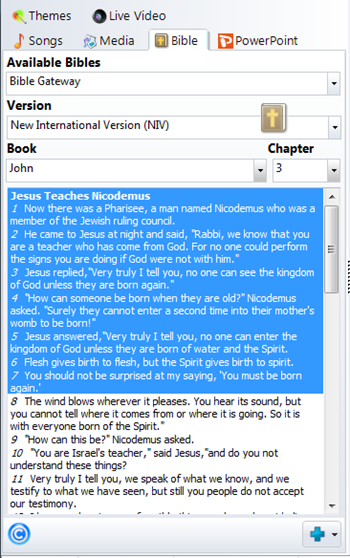 Bible references, the preacher's name or nursery alerts - so many uses for this feature.